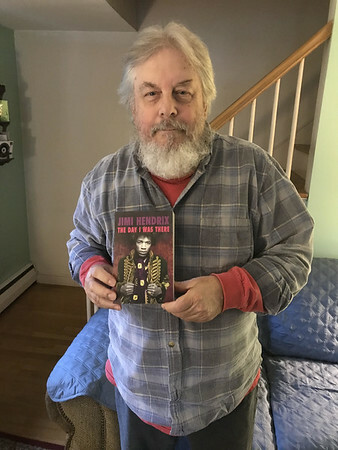 BRISTOL - A Forestville man, George Irving, was recently featured in “Jimi Hendrix: The Day I Was There,” a book published this month that features stories from 500 fans who saw the rock guitar icon perform. The book, written by Richard Houghton, was published Sept. 18 on the anniversary of Hendrix’s death. 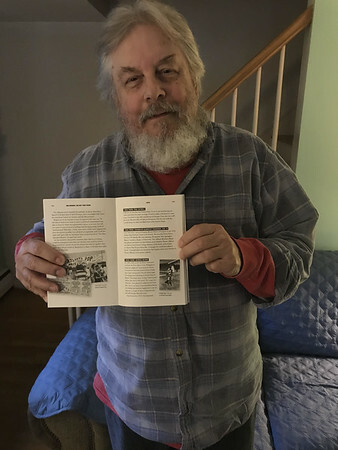 Irving has his story featured on pages 419 and 420, along with a photo of himself in 1970, when he was in the U.S. Air Force. Irving, who was born in Kitzingen Germany, moved to the U.S. in 1963. 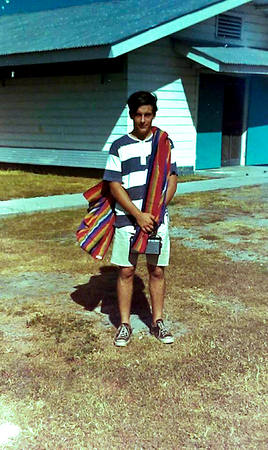 By 1968, he was serving in the Philippines. After that, Irving said, he “zeroed in” on everything Hendrix did. Irving said that this is the first time his story has been featured in a book. The author, with whom he had been in correspondence for about a year, has written similar books about other artists, including The Beatles. Irving said that he knew “rock and roll was it” since he was a child and saw Elvis Presley perform on television. After he got out of the Air Force in 1970, he became a roadie for a band called House of Commons until 1976. After his years as a roadie, Irving moved to West Hartford, where he worked in a machine shop for 20 years. He got married at 40 and had his first son, then another four years later. Posted in The Bristol Press, Arts, Bristol on Tuesday, 25 September 2018 21:13. Updated: Tuesday, 25 September 2018 21:15.